Assassin’s Creed 06: Black Flag Audiobook is the sixth title in Oliver Bowden’s phenomenally successful Assassin’s Creed video game tie-in series. Black Flag Audiobook follows the journal of Edward Kenway, the father of Haytham Kenway and grandfather of Connor Kenway. Edward Kenway is a young privateer who sets out to become the world’s deadliest pirate, only to be drawn into the centuries-old war between the Assassins and the Templars. Black Flag was released on 26 November 2013 and is based on the video game Assassin’s Creed IV: Black Flag. 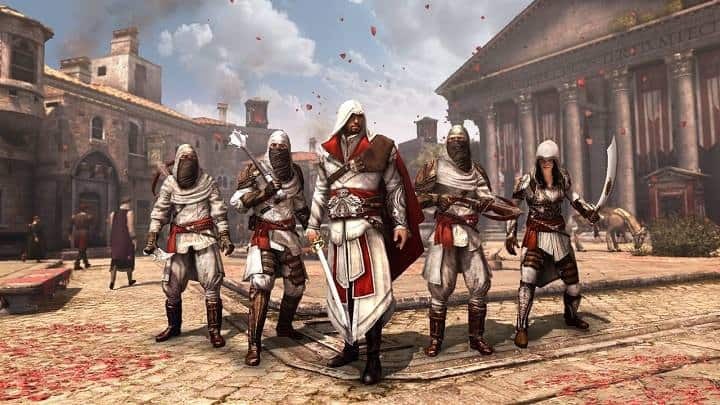 The immersive story of the Assassins is continued in Oliver Bowden’s gripping sixth Assassin’s Creed Audiobook, following Renaissance Audiobook, Brotherhood Audiobook, The Secret Crusade Audiobook, Revelations Audiobook and Forsaken Audiobook. A really great book, I’ve always been cautious with ‘video game book’s but this was surprisingly good too listen. It sticks very closely to the game, even more so in its dialogue. Conversations are literally taken right out of the game, which is great. Although I would say it does hop through the story quite quickly, but I like that it doesn’t linger or drag out too long. I guess playing the game is going to seem a longer story than listening to the audiobook. I see people mentioning that it only mentions him as an assassin at the end but this is pretty much the exact story of the game. and truth be said Kenway isn’t really an assassin anyway, not like Ezio or Altair. which did disappoint me a little… but I won’t get into that now. Anyway, it’s a good read, it’s very quick to get through everything and keeps you interested. I couldn’t put it down, bravo to Oliver Bowden for studying the game storyline and creating such a great book on it. Can’t wait for the next Assassin tale.